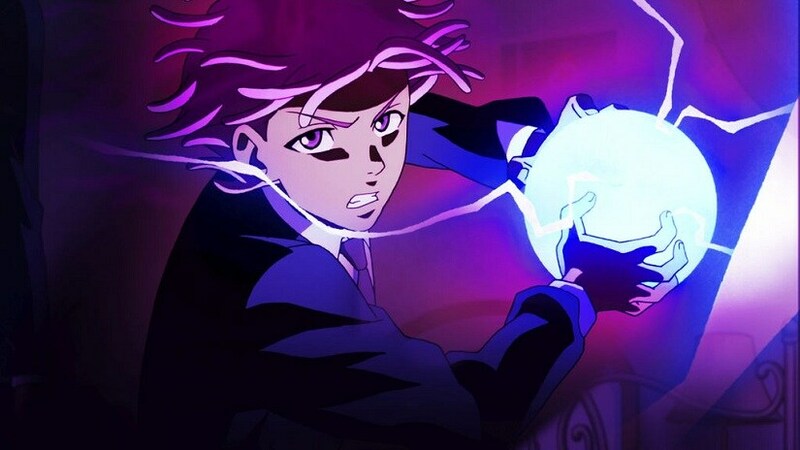 Now, I appreciate the wondrous creation of God that is Jaden Smith as much as anyone, so when Netflix put out the trailer for an animated series about magic demon slayers and teenage relationships with Smith in the lead, you bet I was intrigued. Neo Yokio, the greatest city on Earth, is a wonderful place to be (if you’re rich that is). It has mechanical butlers, houses under the sea, and people spend their time buying high-end brands and partying. It is sometimes a victim to demon attacks, but luckily has magistocrats who can take care of those problems in a jiffy. The name of the city itself is a play on Neo Tokyo, the setting of the ground-breaking anime Akira. It is an amalgamation of New York and Tokyo, a nod to the setting of the story (a thinly veiled New York) and the animation (decidedly Japanese). Smith’s character is Kaz Kaan, a young magistocrat who saves people from demons for a living. He spends the rest of his time playing field hockey or buying “elegant” clothes to ensure he stays on top of the Bachelor Board — a list of the most eligible bachelors in town. He is ordered around by his Aunt Agatha who gives him anti-demon assignments to earn money for the family. There is also Charles, a robot butler who also serves as Kaz’s jet pack. Voiced by the excellent Jude Law, Charles is full of sage advice and is the Jeeves to Kaz’s Bertie Wooster, thus completing the PG Wodehouse reference with Aunt Agatha being… Aunt Agatha. Smith is at the heart of the show and does a good job but the talent surrounding him is astonishingly good. Law’s mostly-encouraging-sometimes-exasperated portrayal of the butler is a particular highlight of the show. There is also Susan Sarandon voicing Aunt Agatha, Stephen Fry at his contemptuous best as the headmaster of Kaz’s alma mater, Jason Schwartzman as Kaz’s archnemesis, and Richard Ayoade in multiple roles. The music too is rather good as we hear classical tunes of Bach, Vivaldi, and Ravel which set the mood for the show. This was probably expected of a show created by a musician (Ezra Koenig, the lead vocalist and guitarist of indie rock band Vampire Weekend). If you judge it by the standards of high anime (Fullmetal Alchemist: Brotherhood, Death Note, Cowboy Bebop), Neo Yokio stands nowhere. It is animated well but not even on the same continent story wise. Look at it in isolation though, and it is a fun series with some genuine laugh-out-loud moments. It would be a stretch to call it satire, but the show does make a few points in its own way. It will also find admirers in those who follow the most convenient of political ideologies: socially liberal and fiscally conservative (neatly summarised as: I support the plight of the marginalised, so long as I don’t have to do anything about it). It also wraps up in just over two hours, thus giving it one of the smallest runtimes for a TV show. There is no way to watch it but to binge watch and it certainly keeps you entertained. Neo Yokio then, is not a show for the ages. It will probably be forgotten by next month. But that doesn’t mean that it has nothing to offer. The references are funny and the voice acting exquisite. The show doesn’t take itself too seriously and the best way to enjoy it is by doing the same yourself. BoJack Horseman it certainly is not, but you could do a lot worse if you have a couple of hours to spare.